Red Plastic Mulch is primarily used on tomatoes for an early harvest. According to researchers at Cornell and Clemson universities, when tomatoes are grown on red mulch they have higher yields, stronger stems and ripen earlier. Research has also found that red mulch reduces nematode damage. The plant responds to the high proportion of reflected far-red from the red mulch by growing taller and putting out more leaves. Eggplant have also shown increased yields when grown on red. It is the color of the mulch that changes the intensity of certain wave lengths of light that in turn has an impact on plant growth and subsequent yields. Studies by Penn State University show tomato yields have been as much as 20% higher with red plastic mulch than with black. Red mulch reflects intensified red light to the developing plants which increases their photosynthetic capacity. There is more reflectivity early in the season when more of the mulch is exposed to light. This red plastic mulch is made of high quality, durable plastic that is 1.0 mil thick and lays well over flat or raised beds. It has season-long integrity and is easily removed from the field after harvest. 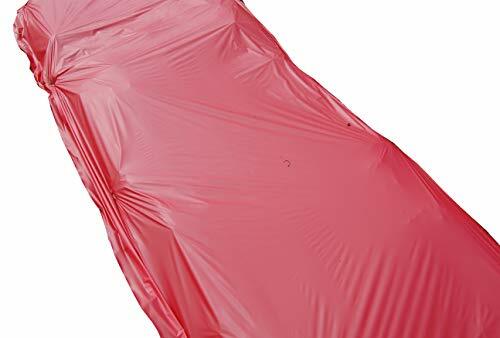 Purchase 4 feet wide x 100 feet long red plastic mulch. mproved yields, although there will be variation from year to year.